Polycom's GARFLEECE B (F) laminates are composites of polyester fleece on either side of Polycoster film glued together with excellent quality thermosetting adhesive. 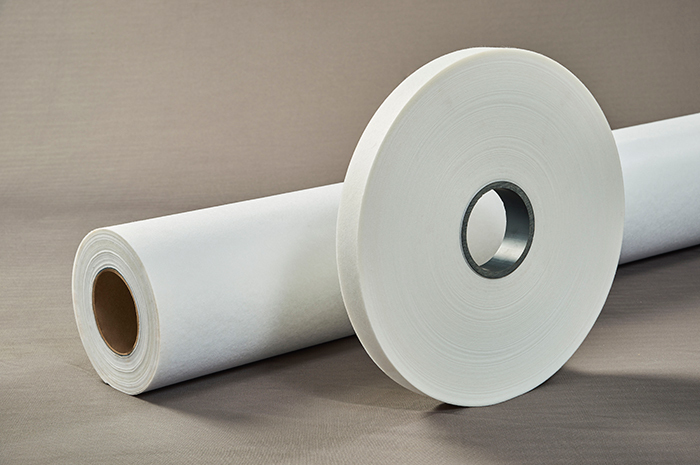 Polyester film's high electrical & mechanical strength are complemented by good impregnating properties of the polyester fleece. Excellent electrical and mechanical properties . Protection against the influence of hydrolysis and chemical actions. Saves on copper and steel for rated power. Quality norms are top priority at Polycom Associates to ensure customer's delite with both Product Quality & Services. Regular on line checks & control of tensile strength, elongation, B.D.V, & bond strength contribute to consistency of quality. GARFLEECE Composites are available in various forms such as sheets, rolls & narrow widths on request for various applications. GARFLEECE can also be made available in 2 layers on request.